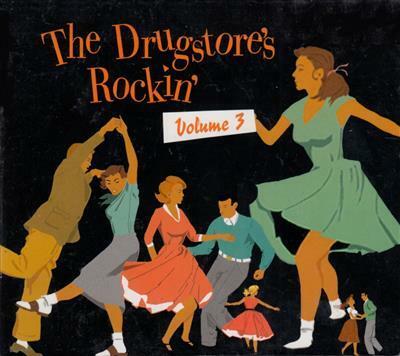 Various Artists - The Drugstore's Rockin' Vol. 3 (2003) FLAC | Free eBooks Download - EBOOKEE! Posted on 2014-03-30, by supnatural. "It seems those wild and crazy collectors at Bear Family never seem to get to the bottom of the barrel when it comes to early rock & roll gems. This third volume of sock hop rock, Drugstore's Rockin', Vol. 3, is chock-full of dynamite, and a couple of sweeter than sweet duds, but that's to be expected. The killer stuff, such as Janis Martin's "Drugstore Rock 'N' Roll," Earl Sinks' "House of Blue Lights," Bonnie Guitar's "Love Is Over," and the inclusion (and rightfully so) of Louis Prima's "Buona Sera" and Ronnie Toth's "Someone Like You," are alone worth the price of this little slab, though there are 26 cuts in all." No comments for "Various Artists - The Drugstore's Rockin' Vol. 3 (2003) FLAC".